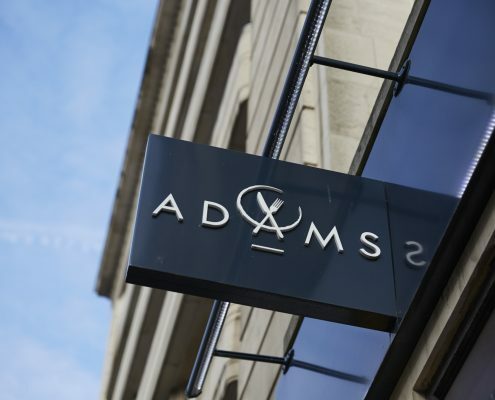 Adam’s is a contemporary British fine dining restaurant serving modern dishes created to the very highest professional standard. 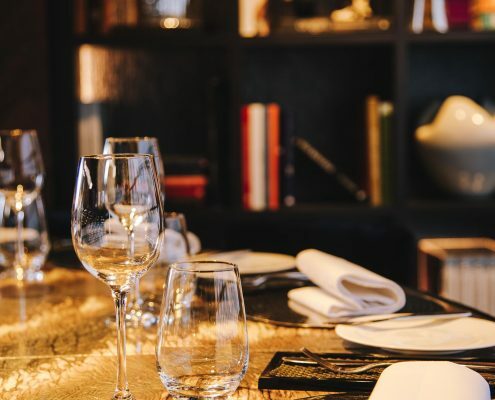 The intimate stylish dining room caters for individuals and parties and provides the ideal setting for any occasion from romantic to business. 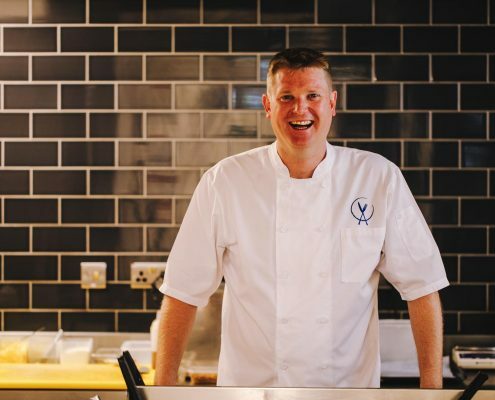 Owner and Chef Adam Stokes heads up the award-winning restaurant which holds a string of accolades including a Michelin Star, three AA Rosettes and a score of 7 in the Good Food Guide. 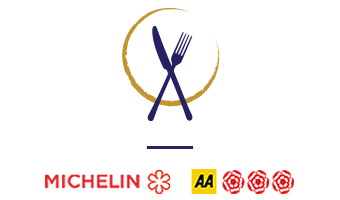 Adam’s was awarded a Travellers’ Choice award for the fifth consecutive year and December 2018 saw Adam’s rated Number 2 Restaurant in the UK, 6 in Europe and 11 in the world on TripAdvisor. 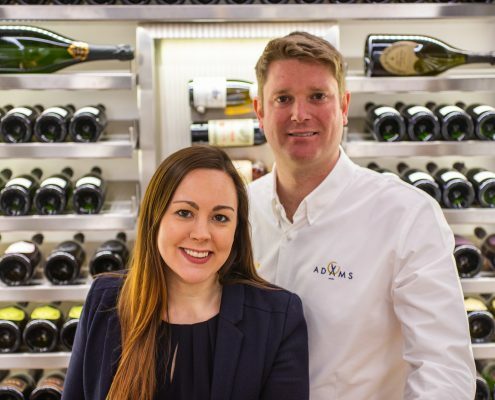 Adam’s was opened in 2013 by husband and wife team Adam and Natasha in a former sandwich shop. Intended as a two year ‘pop-up’ the couple continued to look for a location for the restaurant’s permanent home, keeping their search local after falling for the charms of the city centre. Patience paid off when in Summer 2015 they took on three floors of New Oxford House located just around the corner on Waterloo Street. After a complete renovation the restaurant was able to move into its new location in January 2016. 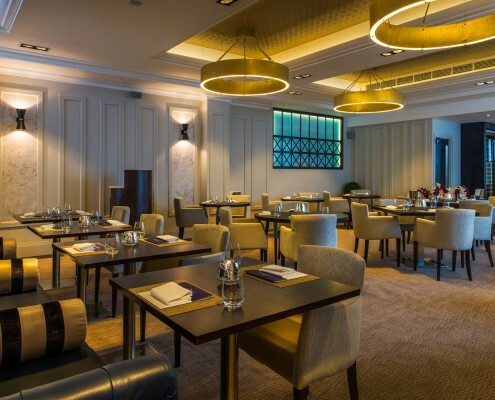 The 36 cover dining room located on the ground floor serves a 3 Course Menu alongside the signature Tasting Menu and a weekday Lunch Menu. A private dining room adjacent to the main dining room is available for that exclusive feel and is perfect for speeches or presentations for up to 17 guests. The larger premises has also seen the creation of a Chef’s Table located within the kitchen environment which is available to hire exclusively for up to 12 guests. 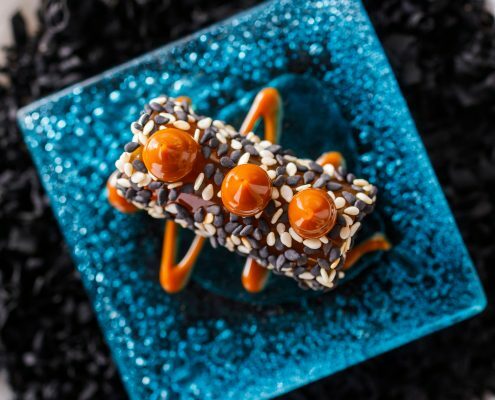 This unique experience is also open to smaller groups of diners where individuals will be sat together at the marble table sampling Adam’s bespoke Chef’s Table Tasting Menu. My aim is not to baffle, but to excite and enthuse guests with the accurate cooking of quality ingredients served in an approachable environment. We hope to create a unique experience for each diner within our friendly and professional restaurant. We hope to see you at the restaurant soon, Adam. Thank you for giving us an unforgettable dining experience. It was our 12th wedding anniversary and this made it the most wonderful day. The service, food and wine were all absolutely fantastic. This was our third visit to your glorious restaurant and it just gets better and better. We dined on Saturday with friends who had travelled from London and Bath and all agreed that the dining experience was exemplary.We all had the 9 course tester menu and the wine flight and marked each course out of 10 and had to resort to 10* and 10** !! What a wonderful and memorable experience. We have already arranged our next visit. Another brilliant seasonal menu.  Always fresh, superb skills and fantastic friendly service. Already looking forward to our next meal there. We felt privileged to be dining at your establishment. As for the food, you took great care over the preparation, flavour combinations and textures, and it definitely worked. Some courses were a real surprise (e.g. liquid roast chicken !) We thank you for looking after our special dietetic requirements and in providing alternatives to the ‘Taster 5′, where needed. Faultless! Wonderful cooking, well matched quality wine, friendly but knowledgable staff. What more could we ask? Just sorry we haven’t eaten here before, but will return soon. Many thanks. Best food I think I have eaten, well above many 1 star restaurants, nearest I have had was at Lenclume thank you very much coming back in the new year for the full tasting. Probably the best food I’ve ever had. Very relaxing and friendly dining experience. We have been at Adams three times since it opened up three months ago and my wife and me thoroughly enjoyed every single moment. The food is delicious and full of positive surprises, the wine list includes everything you can ask for and the service is extremely friendly and pleasant to talk to! Adams to us is clearly one of the best – if not the best – restaurants in town! I have been to Adams 5 or 6 times now, each time has been superb. Adams is now firmly my favourite restaurant. A truly memorable dinner, certainly as good, if not better than, many other Michelin starred establishments where we have dined. Well done to all! Everything was perfect. The food was delicious and the service was amazing. We had an amazing time at Adam’s. Definitely a memorable experience and would certainly recommend highly to others – stunning food and wine pairings. It was seamless from start to finish. We had a fantastic evening at Adams. 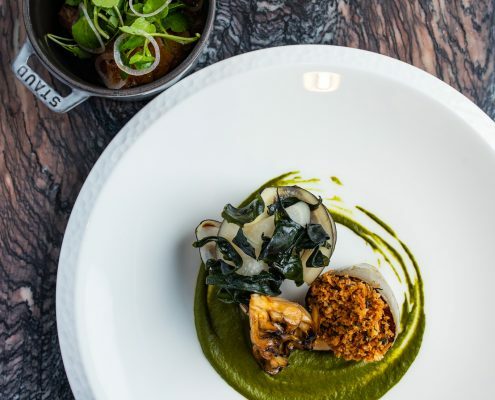 The atmosphere set Adams apart from the other fine dining restaurants in Birmingham. We will be closed for annual holiday from Sunday the 25th of August and will return for dinner service on Thursday the 12th of September 2019.